Thomas was born on 1 September 1816 at Atterby, Lincolnshire to parents Thomas Kendall and Fanny Dennis. He was baptised on 22 September 1816 at Bishop Norton, Lincolnshire. His brothers, Charles and Dennis, were also PM Ministers. After leaving school, he worked as a groom on a farm . There was a net increase of 600 on his stations. Thomas married Hannah (1806-1890) in 1844. 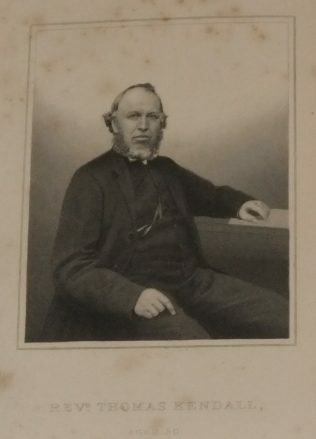 Thomas died on 23 April 1878 at Doncaster, Yorkshire. Maria, Thank you for the correct information on Thomas wife.